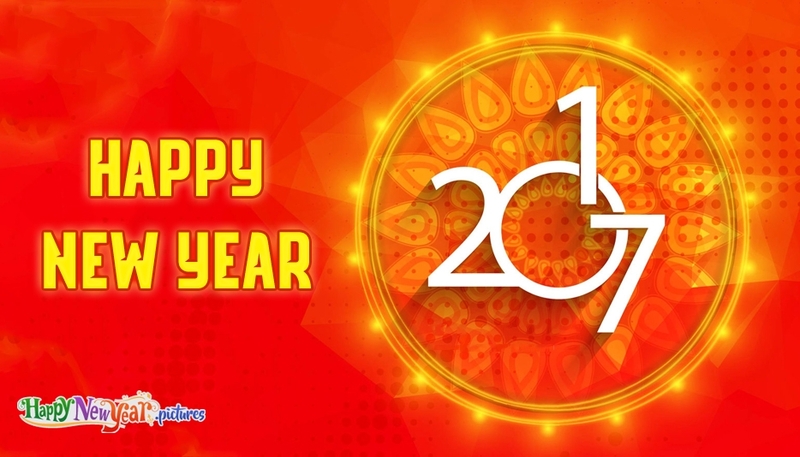 Wish your friends, colleagues and family a "Happy New Year" with this beautiful new year e-greeting. The e-card portrays the words "Happy New Year 2017" on a vibrant background. You can use this card to download, print or share via email, social media such as facebook or whatsapp. This e-card can be shared on your facebook wall or as your facebook background image to wish your friends a happy new year.